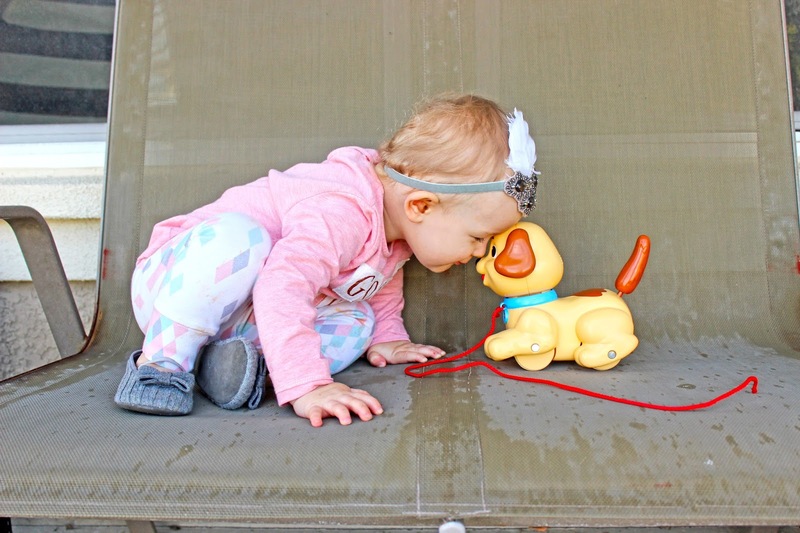 Two of Vivian's favorite things are in today's post: puppies and kisses! 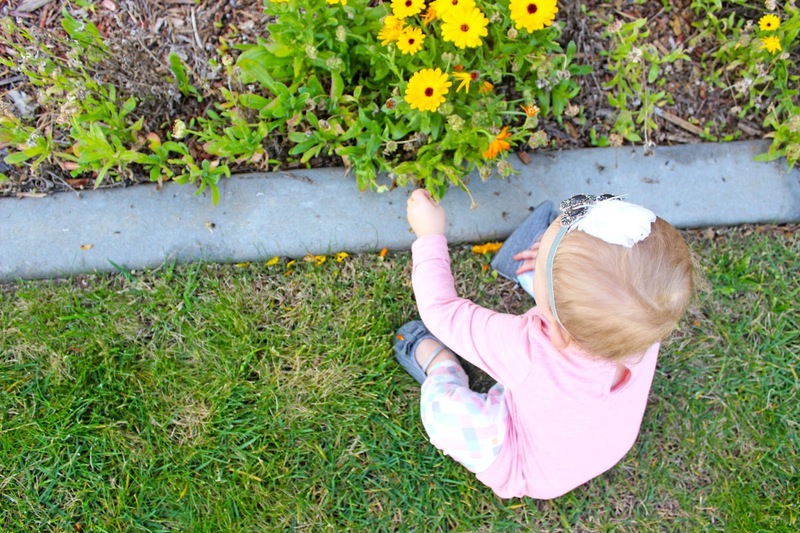 This girl amazes me everyday with something new and I always say to her "how do you know how to do that?!" 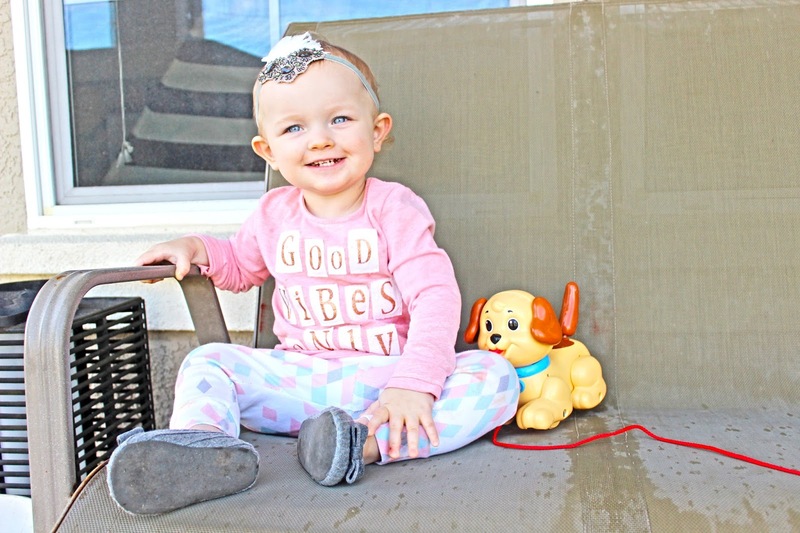 She is seriously so smart and sweet. 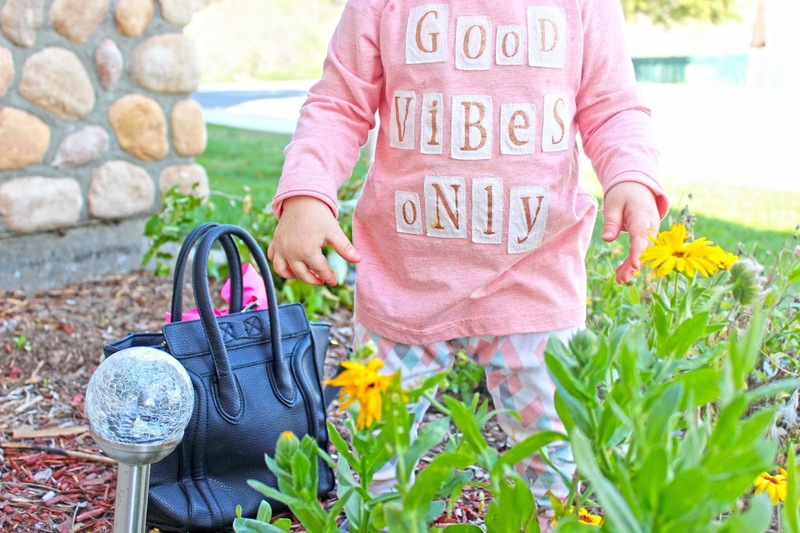 She's been obsessed with this little puppy she got for Christmas so I thought it would be so fun to incorporate it and her bag into today's shoot. 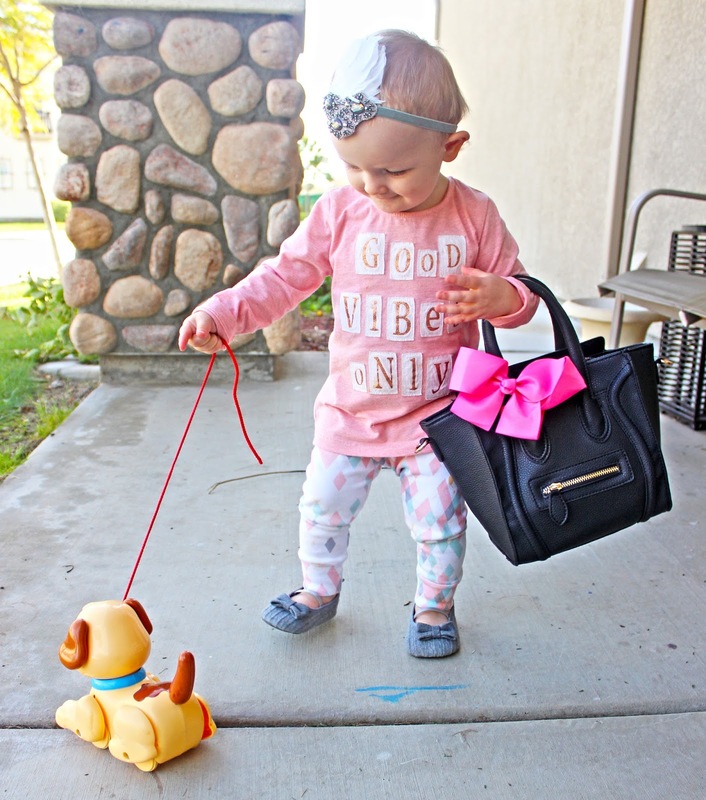 Doesn't she look like a little mommy with her bag and "walking" her dog?! Ahh! I can't handle it. 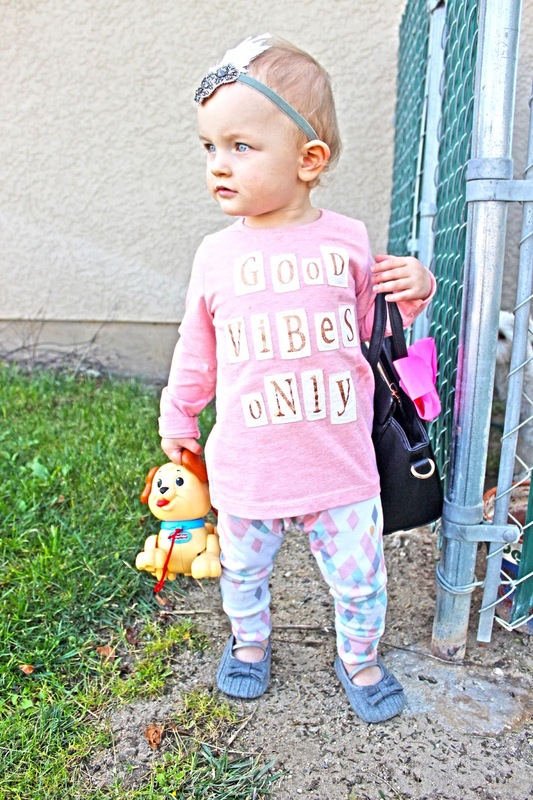 Our "good vibes only" shirt is a new favorite from Zara, paired with our very trusted Wrens Nest Creations leggings, and feather headband from A Tiny Arrow which never gets old! What do you guys think?! All the links for everything is down below. Hope you like! Have a great Thursday!